We provide low rate boat finance for our clients on the Sunshine Coast, Brisbane and across the country. Over the years, Loan Wize has become a trusted name when it comes to equipment, car and boat loans. We love the outdoors and specialise in finding the right loan to help Australians across the country enjoy the boating lifestyle. Our team has the experience necessary to match you with the right boat loan, depending on your current financial situation. Everyone is different and the way you live your life will affect which boat loan is best for you. Let us do the hard yards and provide you with a fast, free boat finance quote. When you take out finance for a boat, it can include other items too, such as a boat trailer and insurance for example. Just let us know what you are planning to buy, and we can package a loan that will is easy to understand and can be approved quickly. Along with private boat loans, we can also help secure business boat finance for our clients. This can be difficult to secure if you don’t know how to apply for it correctly. We have helped many businesses get the boat loans they need for a river cruise, sunset tour, and fishing charters. It does not matter whether you are buying a boat from a private seller, or a dealer. The boat can be new or second hand. We can get the fast approval you need to avoid the disappointment of someone else buying the boat you want while you try to get a loan. We don’t just offer low rate boat loans Sunshine Coast residents can take advantage of. Our finance experts can help people get the boat finance on the Sunshine Coast or Australia wide. 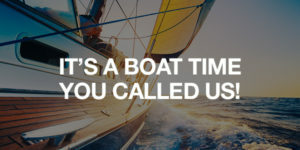 With so many opportunities and settings in Australia for you to enjoy operating your own vessel, it’s probably time you considered taking a boat loan to help you secure this one small dream of yours. A boat loan doesn’t only just help you find your sea legs or take the family out for a cruise. Who knows what other opportunities could be realised with a boat financing, especially if you live in a place that’s suited for the running of a boat hire service? There could be plenty of opportunities for you to pursue through a boat loan if any of these fit your idea of that next pursuit in life. A successful boat loan is not just one that gets approved easily, but one that won’t cost you an arm and a leg to pay off. There’s plenty of reasons to believe why this could make for an impulsive decision, but with careful thought and planning, there’s no reason why you shouldn’t seriously consider how a boat loan could help bring you closer to your dreams and desires. Working with our team of experienced professionals, we can help you navigate the possibility of paying off your boat loan in a reasonable and achievable timeframe. So why put your dreams off for any longer when there are low rate boat loans available to help you get what you want? Enquire today about how a boat finance could work for you, whether you are interested in securing one for purposes of leisure or a business. You never know how one opportunity could lead to another, and get yourself started with a low-interest rate boat loan could very well be your ticket to having some of your greater dreams fulfilled. Give us a call on 1300 LOAN WIZE and speak to an expert who can help you understand the different options you have, and make the boat loan application on your behalf.